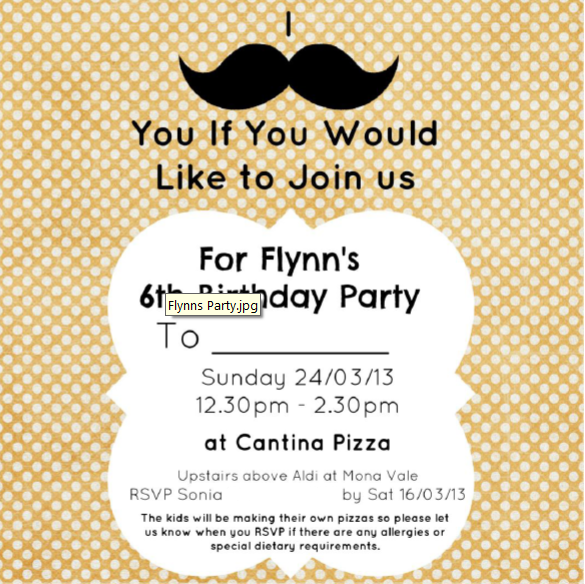 A Marvelous Weekend to Turn 6 and Have a PIZZA Party! | Life Love and Hiccups: A Marvelous Weekend to Turn 6 and Have a PIZZA Party! 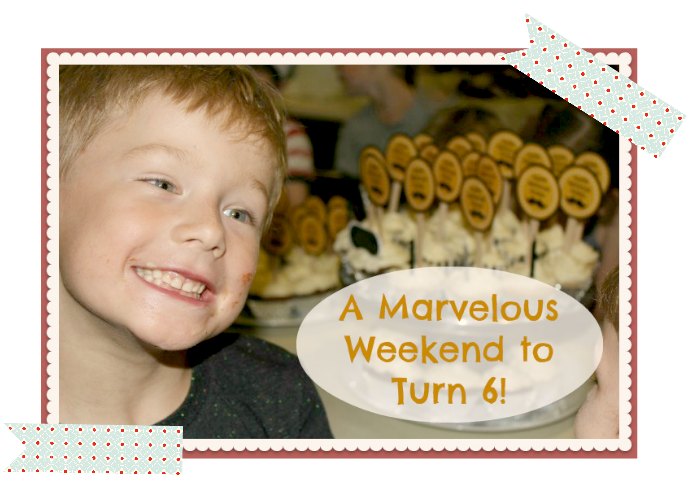 A Marvelous Weekend to Turn 6 and Have a PIZZA Party! It was the weekend he has been waiting for, for the past 256 sleeps give or take. It was party day and it ended up being the most marvelous weekend to turn 6. This munchkin decided he wanted a pizza party where he and his guests could make their own pizzas. But it couldn't be any old Pizza, it had to be his favourite pizzas at his Godfathers Pizza Shop Cantina. Now there is the age old dilemma when your child is in Kindy. Who and how many do you invite to the party? Do you invite the whole class? Just the boys or just the girls? Do you include their teams mates from their sports team? What to do What to do???? Well in our case Flynn wanted EVERY ONE but unfortunately his parents do not have a bottomless bank account so we set the number at 20 kids. Once he worked through his class list and his soccer team that number grew to 30 because he didn't want to leave any of his new friends out AND he wanted his "Special Girls" as well. And because we are complete suckers for a kid with a good heart we let him have his 30. No judging please - I know we are insane already! Thank heavens Kindy parties only happen once per child. We ordered some paper chefs hats on Ebay and bought a stack of textas, glitter glue and stickers and the kids happily spent the first 30 minutes of the party decorating their hats. We had some budding artists among the guests and bless them, some of the kids chose to sit out of the other shenanigans and instead painstakingly worked on those hats for the majority of the party. With the hats mostly done it was time to get down and dirty rolling dough and making the most awesome and unusual Pizza toppings. I had to laugh when the kids happily topped their pizzas with olives and mushrooms but when it came time to eat them, we spent ages having to pick it all off because they didn't actually LIKE olives and mushrooms. Apparently they just looked good and it was fun so that's why they put them on their pizzas. Thannkfully I have years of experience picking bits of pizza. My boys called a truce on all sibling rivalry for the day and they happily went about making sure Flynn had the most awesome time ever. There are moments when those kids of mine just make me totally melt with gooey gushy mother pride and case in point, this was one of those occasions. Now Flynn actually requested a cake that looked like a Pizza but I totally piked on that one as I had zero desire to sit up all night making little mushrooms and olives and other toppings out of Marzipan. Luckily he loved the chocolate and vanilla cupcakes I came up with instead and he thought the cake toppers I made were "Sooooo Sick"! I am hoping "Sick" still means good these days. Now we all know that according to kids a party is only as good as the lolly bags. Pressure much?? I did order the cutest cookie cutters to go in our lolly bags, but there was a stuff up with the order and they didn't arrive in time and so the lolly bags were filled with nothing other than lollies. Judging by the ferocity in which they were being shoved into little mouths as our guests waved goodbye, no one seemed to mind. The little cardboard Treat bags were from Sweet Style and I made up a Thank You sticker (again in Pic Monkey) punched some holes and tied the bags closed with twine, and stamped the bags with a simple Thank you stamp and some polka dots. (Hint: Use the end of a pencil with a rubber on the tip as a stamp to make polka dots). By the time I stamped 36 of those little suckers (yes I always like to have some spares for siblings of guests) I was ready to peg that freaking stamp through the window. But again Flynn though they were "Sick" so it was worth the effort. All in all we had one very happy and very tired little 6 year old at the end of the day. A HUGE thank you to our besties Simone and Marlos for putting on such an amazing party for our littlest munchkin. If you are on the Northern Beaches (Sydney) and you are looking for a a great idea for a kids birthday party, contact Simone and Marlos at Cantina Mona Vale. You can visit their website here. So tell me - Sick does mean good in Kid Speak right? What is your protocol on Kindy Kid parties? Do you invite the whole class or just a few?